Ideas to Save on Dentistry? Mr. BFS has an outright phobia of dentists. This has came back to cost us once a few years ago, and now’s there is a real whopper. He needs major surgery within the next 6 weeks and it is going to be expensive. Long story short, Mr. BFS didn’t take care of his teeth until the last visits 3 years ago, so we are still salvaging what he has before we can go on to just regular maintenance. We went in to get the xrays done with my dentist last week. Mr. BFS did great – just concentrated on a spot on the ceiling while they poked around and then explained the xrays to us. He needs his two exposed upper wisdom teeth removed and at least 5 fillings on some cavities on other teeth that aren’t really bad yet. That’s expensive no matter who you are, but it is going to be worse for us. My husband needs to be completely under to have work done in his mouth. He has the literal fear of dentists…not kidding around. Plus, we don’t have dental insurance since it would have only covered $500 total per year anyway, which is why we haven’t paid that $40 a month for the last 2 years. It just isn’t worth it. Most dental surgeons apparently do not handle cavities. But my hubby cannot make it through fillings without being completely sedated. After some hunting, I found a dentistry office nearby that brings in an anesthesiologist and can do everything at once. I haven’t got the exact quote yet, but the anesthesiologist alone will cost at least $2000. My dentist is sending this office the xrays now, so I will hopefully have a full quote by then. I am expecting to hear $5000-$7500 total. Since we don’t have dental insurance, I have found that dentists will give me significant discounts by using cash. This dentistry office offers the same. The rep I spoke to explained that we could discuss cash discounts, or look at 12-18 month interest free payment plans. I would only be interested if I can’t get at least 10% off by using cash. I’ll figure that out next week. The anesthesiologist is paid for separately, so I will need to call him and discuss stuff personally. Maybe he’ll like cash too. Realistic optimism says we’ll be shelling out at least $4500. Pessimism says $7500. Either way, we have put all significant spending on hold for the next couple of months while we get this squared away. Yay for emergency funds is all I have to say right now, lol. Other than discounts for cash, any other ideas to save some money on this? I’m really surprised you’re having such a hard time finding sonwone. I am a dental hygienist so totally understand your husbands fear. Can I recommend that you invest time into finding someone that you’re comfortable with and won’t need sedation with? 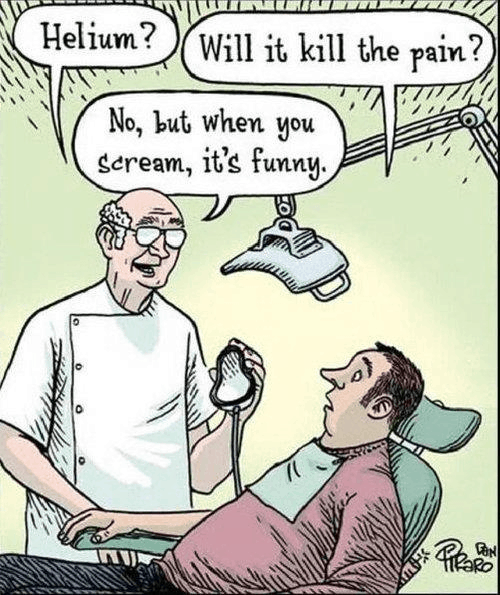 Finding a dentist that will ease your fears is key. Also, does he need full sedation? Consious sedation is very effective (iv ) and significantly cheaper. You won’t need a medical doctor-a dentist usually works with a RN instead. Maybe if u can find a good dentist, a simple anti anxiety pre-med will be enough. I wish you could just come here! I would make sure you were well taken care of! As for saving money-PREVENTION is key. Brush, floss and have your teeth professionally cleaned at least once per year. Email me with any question guys! Slip him a mickey, then get down with a pliers and a rubber mallet? I was dumb about caring for my teeth when I was younger. I’ve dropped thousands into my mouth over the years, and that was with insurance. Dental college is the only way I’m aware of to save much, but they aren’t going to knock him out. Wow, you’ll have to put buying another rental property on hold then? @Catherine, yep, he has started taking very good care of his mouth now that he understands that will lead to less dentist visits. Sadly, there is no way we would ever be able to look around for the “right” dentist very easily since just getting him to an office causes major, child-like anxiety. I didn’t use “phobia” lightly here…it’s almost debilitating. And we did conscious sedation last time and it doesn’t work for wisdom teeth removal. Despite trying twice (and without eating), he gagged and threw up twice when they started removing the wisdom tooth last time. @Linda, might be a good option for me if I ever need major work though. @Savvy, we already have this budgeted. We’ll probably have to wait to next year to buy another rental house anyway though since a couple of commenters mentioned they will probably need 25% down. Perhaps he could take some oral type sedative to keep him drowsy but not totally under? Otherwise, cash almost always gets a discount. Anesthesia bills get knocked down so much by insurance, that I bet the doctor would still make more taking cash but offering a discount. It will be interesting to see if there is any impact of the Affordable Care Act on dentistry. Mike said: It will be interesting to see if there is any impact of the Affordable Care Act on dentistry. Mike, it will depend on where you live. As written, the ACA does not include dentistry. However, some states are stepping forward and working to add dental coverage. Earlier this year, California was drafting a proposal that would require the purchase of a stand-alone dental plan if the person did not have dental coverage in their current health care coverage. By this point in time, that proposal may be law. California is in the forefront when it comes to the ACA, and supporters and naysayers alike have been very surprised at what they’ve seen happen with the ACA there. The ACA is working better than anyone thought it would – people are getting health care coverage and it’s cheap. It’s too bad we’ve got so many states whose state legislatures are ignorant of the law and are hell-bent on stopping it. There are your “death panels”, and it’s all GOP controlled legislatures. People should be taking to the streets and demanding the health care exchanges be set up in their states. The ACA is working exactly how the President said it would, and it is working well. Even though you don’t have insurance, you might still be able to work with them to pay the amount that they would get if you did have insurance. No way would the anesthesiologist get $2,000 from the insurance company, from what I would think, so you can often negotiate to what they would get or maybe a bit more. Especially if after the fact you maybe drop a hint that you might not be able to otherwise pay, they might work with you. A great way is to come to Costa Rica to get the work done, it will cost you less than half and you will be able visit the country and do some vacation. I know people get scared of a third world country, but actually the health tourism is a very vibrant activity, our health index is very high, and there are hospitals accredited with US boards. Just last week I found a groupon for a dentist. $49 for my yearly cleaning!